This brew pub has been a long time coming! I'm not talking about since the building was purchased and renovated. 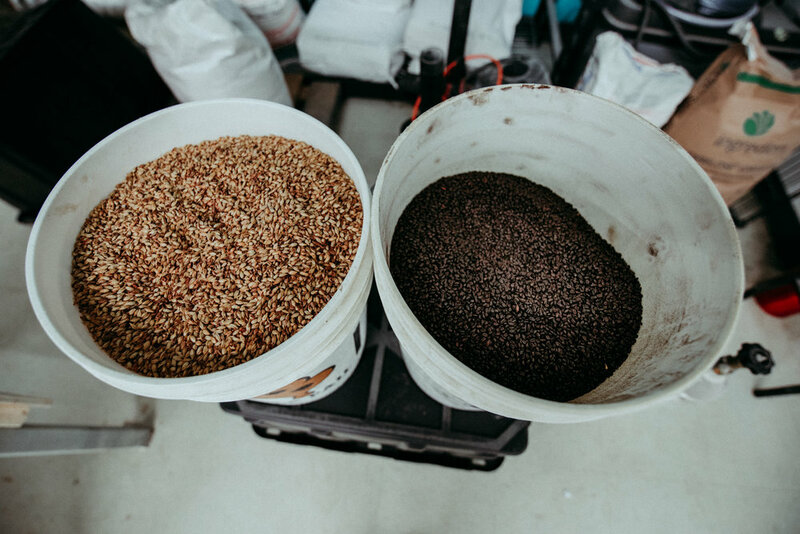 I am talking about since Nate and Caily Wolfenden met and shared their passion for creating delicious meals and experimenting with brewing beer and fermenting food. I'm talking about since Nate and Sam Morrissette met and collaborated on perfecting delicious brew recipes and techniques. The brewery looks and smells amazing and couldn't have been done without the support and encouragement from friends and family. One big component to getting this project off the ground was Billy Coulter who grew up in the area and invested in the property and the brew pub's success. Many local collaborations are happening within the walls of Kettlehead Brewing Company. 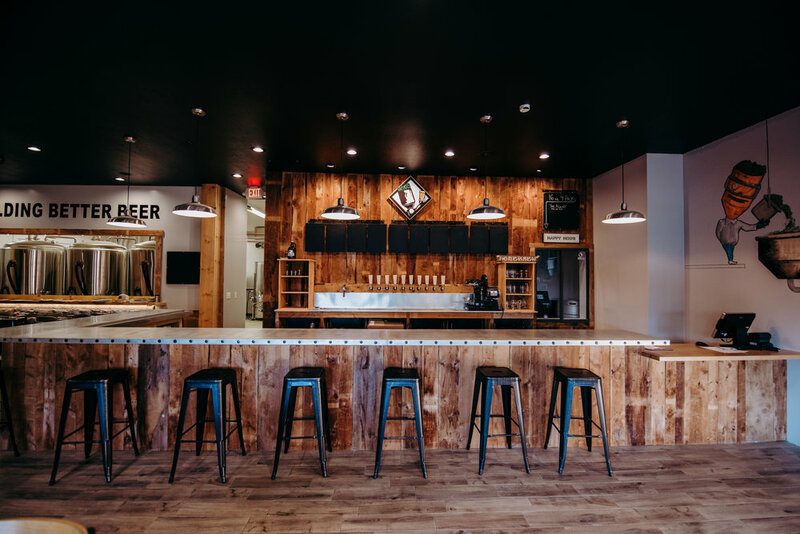 There are plans to create a custom beer for Highland Mountain Bike Park, many ingredients will be used from local farms, a locally made cider will be on tap from Moonlight Meadery in Londonderry, NH, and local art will be hanging on the walls. Some of the items that you can look forward to on the menu will be hand cut fried pretzels with Blackwater maple mustard sauce (made in Contoocook, NH), hog wings (pork shank) and beet pesto pizza with spinach & goat cheese. most items on the menu will be gluten free, well except for the beer of course. 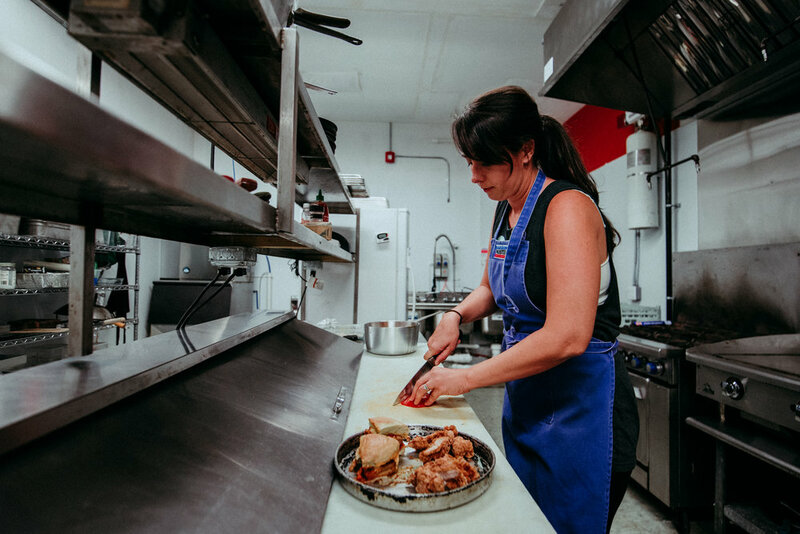 With Caily's experience with traditional cooking, knowledge of natural nutrition and the help from Dan Tozier and Jill Marcotte, you will be sure to leave the pub full and satisfied. What about the beer you ask? You will be able to order flights of four 4 oz. pours as well as full 8 oz and 16 oz pours. You will also be able to take home 4 packs or 32 oz crowlers filled with your favorite brews. Nate and Sam have decided they will not do outside container pours. 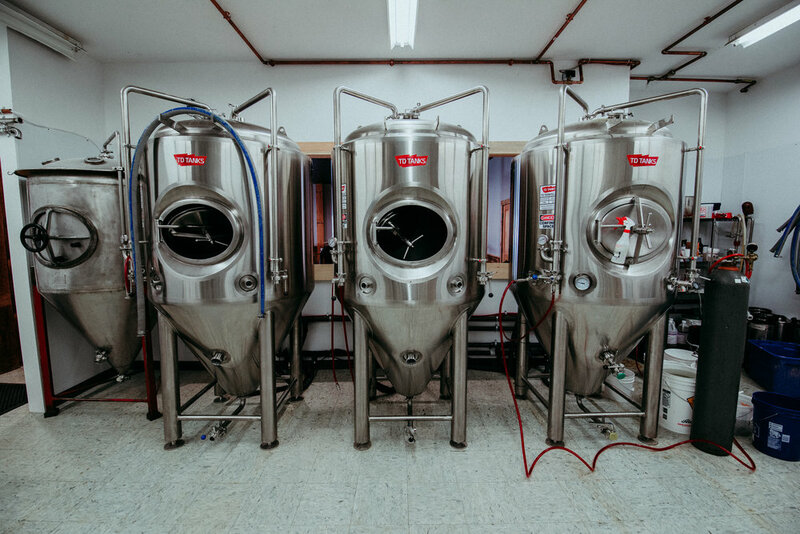 They like to have full control over the quality of their beer and only want to put their product into clean sealed cans for transportation. 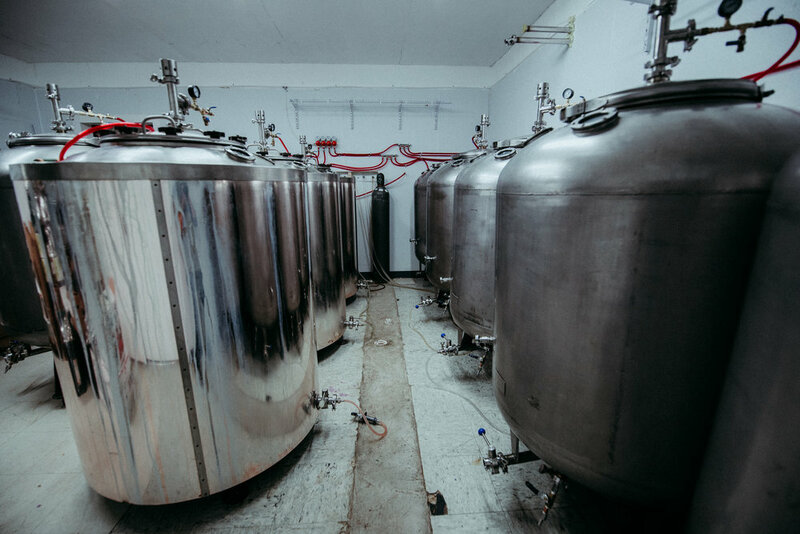 The crew at Kettlehead Brewing Company are gearing up for some soft openings in the next couple weeks and will open their doors to the public shortly after. They are as anxious as you to get beer into your hands. Be sure to pop in when the doors are open and support your local brewery while supporting local farms, creators and artists (by the way, my photos will be on the walls for purchase). Until then, stay thirsty my friends.